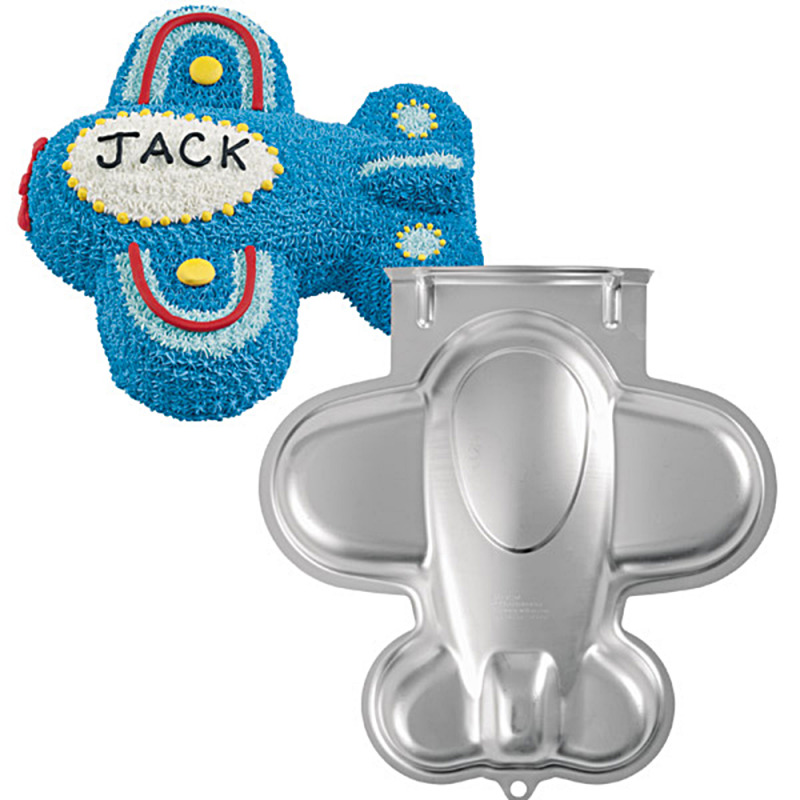 Any two-layer cake mix works with the airplane cake pan, which is constructed with a rust-resistant aluminum. It helps you celebrate birthdays and other special occasions with its fun airplane shape. Any two-layer cake mix works with the airplane cake pan, which is constructed with a rust-resistant aluminum. It helps you celebrate birthdays and other special occasions with its fun airplane shape. The pan is hand washable. Use with soap and warm water to clean, and it is recommended you dry it with a soft cloth.